A remarkable effort to collect and cultivate the seeds of the Long Island Sound region’s native flora has taken root in the years since Hurricane Sandy first struck our shores, and Save the Sound’s green projects team has been working hard to bring that effort full circle. The federal government has funded the multi-state coastal seed collection effort through its Seeds of Success program to help restore and protect coastal wetlands against major storms, sea level rise, and other effects of climate change. With help from local groups like the New England Wild Flower Society, seeds were collected by volunteers at two of Save the Sound’s dam removal sites in Connecticut — Pond Lily Nature Preserve in New Haven and Hyde Pond in Mystic — as well as other preservation sites around the region. 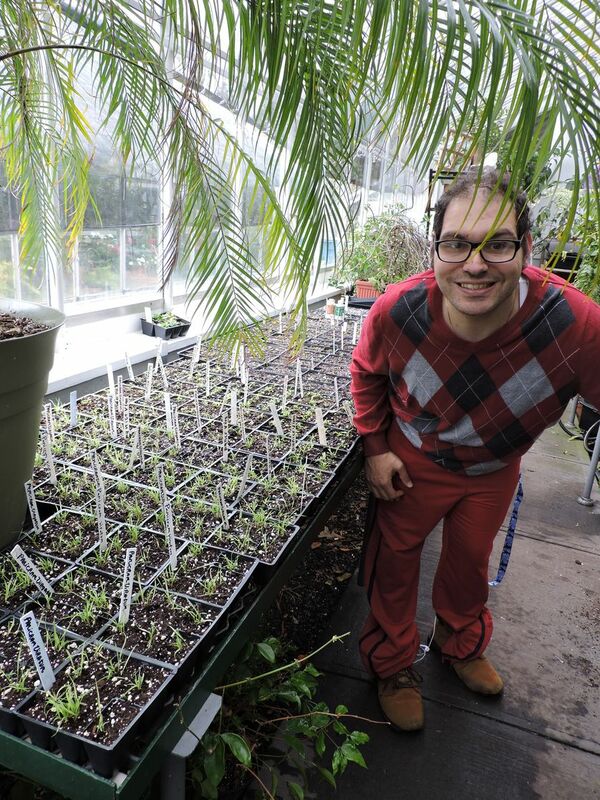 The seeds were then shipped to the Cape May Plant Materials Center operated by the National Resources Conservation Service in New Jersey, where they were frozen to mimic the effects of winter. When Anna received a call from the Plant Materials Center in the winter of 2016, asking if Save the Sound could use any of the native seeds as part of our habitat restoration work, she jumped at the opportunity to bring the project back to the community. Anna worked to forge relationships with local organizations that have access to greenhouses and other resources needed to cultivate seeds during the chilly New England spring. 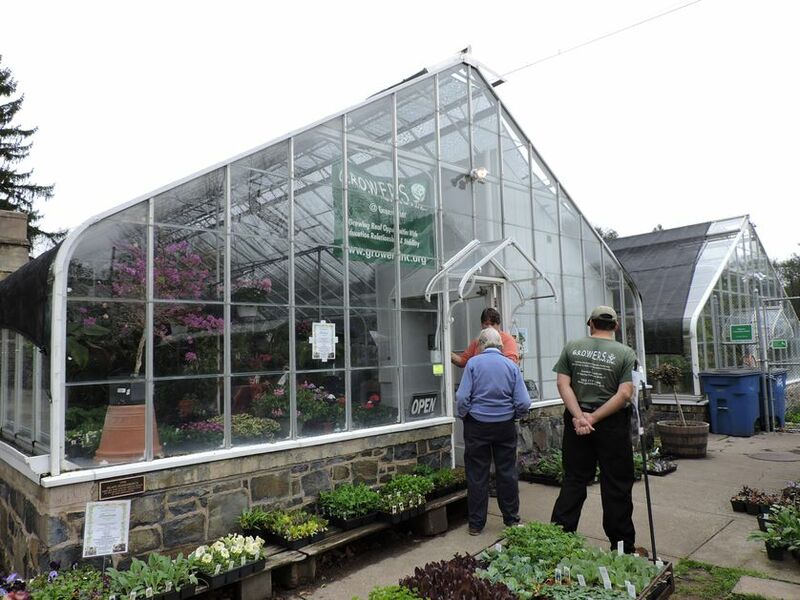 Her efforts launched two new partnerships: the Bioscience and Environmental Technology program at Grasso Tech High School in Groton and GROWERS, an organization based at New Haven’s Edgerton Park Greenhouses that provides horticultural job training and employment opportunities for adults with developmental and physical disabilities. “When I contacted Grasso Tech High School and GROWERS, both programs jumped on board and truly brought the pilot project to life,” Anna added. 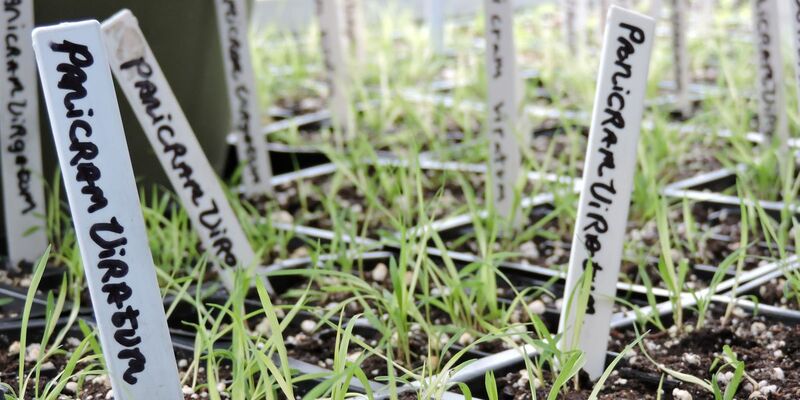 Native seedlings grown by students at Grasso Tech were transplanted at Hyde Pond in July 2017, bolstering riverside habitat at the site of the former Hyde Pond Dam, which Save the Sound removed in 2015. In the fall of 2017, shrubs and seedlings cultivated by GROWERS students were planted at residential rain garden sites identified by Neighborhood Housing Services of New Haven throughout Connecticut’s West River Watershed. Residential green infrastructure plantings in New Haven will continue in the fall of 2018, helping to reduce flooding and pollution from stormwater runoff. This project was made possible with the help of funding from Newman’s Own Foundation, the Werth Family Foundation, the NewAlliance Foundation, the Greater New Haven Green Fund, and the Connecticut Department of Energy and Environmental Protection. This story was originally published in the August 2017 issue of SoundBites. Content has been updated for accuracy of dates referenced. 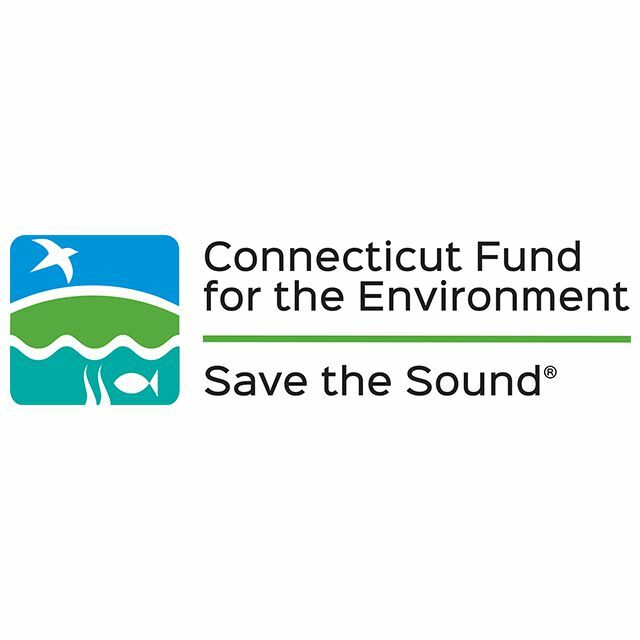 The mission of Connecticut Fund for the Environment/Save the Sound is to protect and improve the land, air, and water of Connecticut and Long Island Sound.